The Sheraton Nha Trang Hotel & Spa is preparing for its grand opening in this beach city on the south central coast, home to one of the world’s most beautiful bays. The 30-story property delivers dazzling sea views from each of its 284 rooms and a collection of restaurants and bars enable to make Nha Trang a culinary destination for a host of new reasons. Three years under construction, the hotel ranks as the first internationally renowned, five-star brand to cultivate a beach destination within the country. The Sheraton Nha Trang hotel’s overarching appeal is exemplified, collectively, by its 10 classes of accommodation, from spacious deluxe rooms to 70-square-meter executive suites and one awe-inspiring 182-square-meter presidential suite. Outside every room, a balcony juts far enough to admit open-air ogling of the bay and a beach that’s been described by many guidebooks as the best in Vietnam. A Sheraton Sweet Sleeper bed is standard in every room. The hotel’s décor exudes deliberate, earthy warmth, with an appealing palate of tawny tones inspired by the beach. The beige and yellow hues, and the custom carpets in jute and cotton evoke familiar Asian themes. 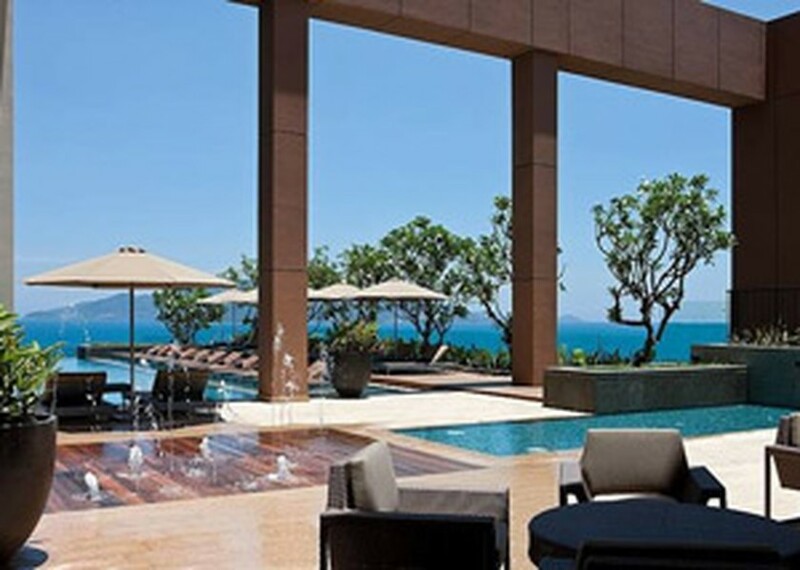 The property includes a multi-purpose events room on the 28th floor with panoramic views of Nha Trang Bay and wonderful environs replete with hills, rivers and an array of cultural attractions. Three floors below, the Sheraton Club Lounge, which Hodgetts describes as an awe-inspiring modern lounge, delivers a sumptuous, multi-dimensional, uplifting guest experience. Business travelers and leisure travelers who crave extra-special treatment and amenities, and who’ll be staying in a room or suite on floors 22 through 26, check in here. On the 6th floor, the pools include an infinity-edged pool expansive enough to accommodate lap swimmers, a reflecting pool for sun deck sun soaking and a kid’s pool. On the 7th and 8th floors, Shine Spa makes its mainland Asia debut. In nine treatment rooms, therapists practice treatments borne of the Mediterranean, Arabia, India and Asia with a particular emphasis on Vietnamese traditions. The hotel’s largest restaurant, Feast, is a tried-and-true culinary concept that taps the culinary heritage of Italy, India and a number of distinct Asian locales and turns out a la carte dishes a la minute. Outside Feast, a gallery lords over the lobby. On the far side of the open space, the Wine Bar and its glass walls position casual drinkers with opportunities for both bay-watching and people-watching in the lobby below. For less leisurely pursuits, the hotel is shaping up as a magnet for businesses and conferences that require as much as 1,600-square meters of ballroom space. Although Nha Trang can feel like a destination apart, the 24-hour business center ensures that guests can get right into the thick of it as necessary. 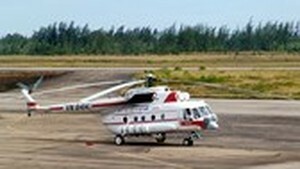 Travelers now can opt for helicopter tour from Vung Tau city in the south to Con Dao Island after the Southern Vietnam Helicopter Company inaugurated the tour yesterday.